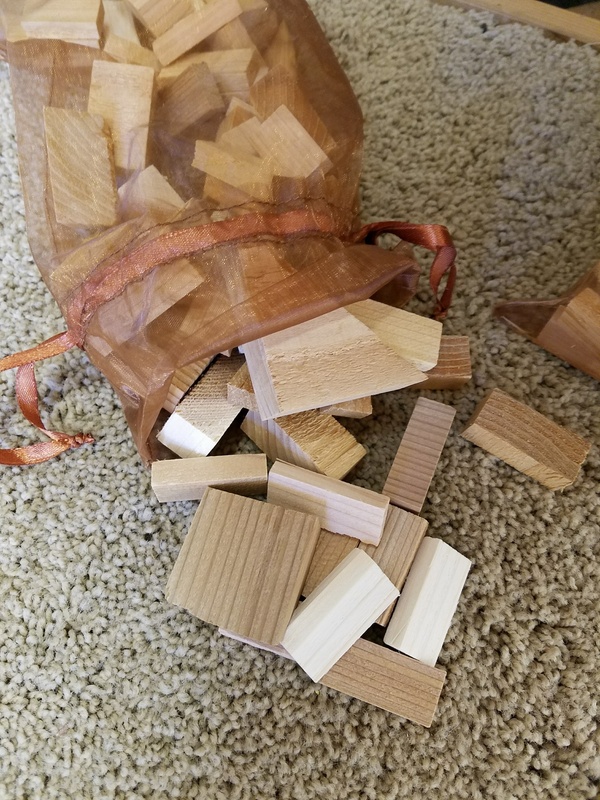 This draw string pouch is filled with 100% natural red wood cedar blocks to freshen your belongings and protect from pests. Cedar is a natural flea and tick repellant. Cedar helps to eliminate odors from your shoes by absorbing moisture and mildew, it safely and naturally repels pests, mildew and mustiness without chemicals. 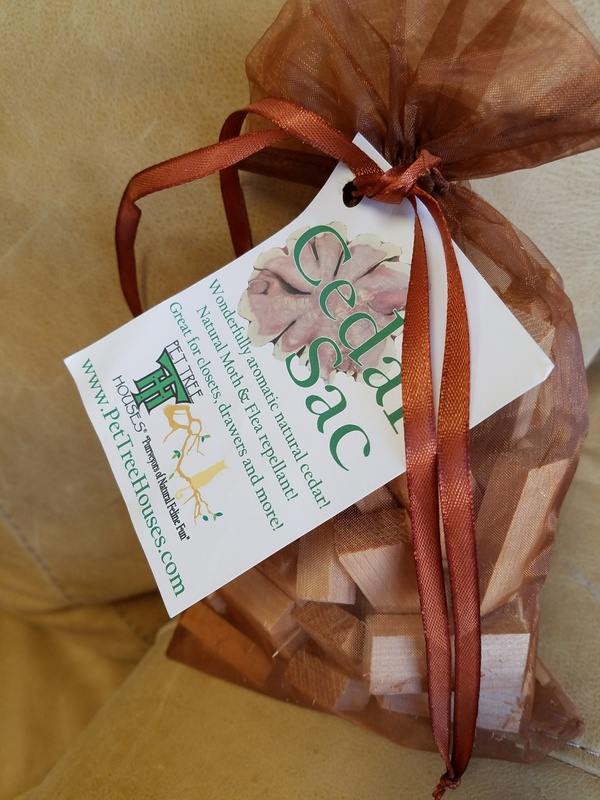 Cedar is environmentally friendly and a safe alternative to chemicals. Mist the Cedar Sachet with water to rejuvenate the aromatics. 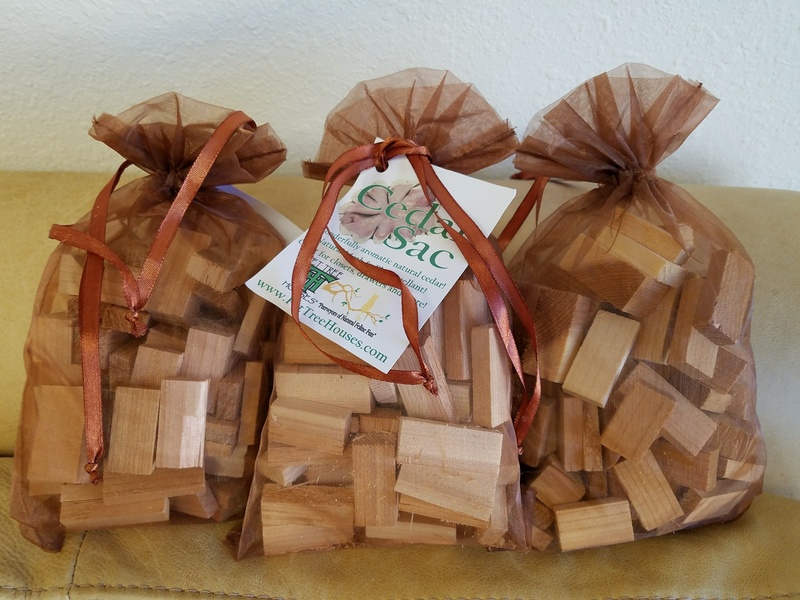 Set of 3 Sachets 6" x 10"
Ships free with any Tree Purchase - shipping cost will be refunded if ordered with a Tree.